Since the Endangered Properties List began in 2006, committee members and the staff of Historic Augusta have made a genuine effort to resolve some of the issues that were preventing properties identified from being rehabbed. Our goal is to ensure their survival for future generations. To nominate a property you have seen for our Endangered Properties program, fill out the form below which will be received by the staff. A building that is at least 50 years old and should be listed or eligible for listing on the National Register of Historic Places. The building should have an identified threat such as: vacancy, neglect, encroachment by development, or inappropriate alterations. The building should be historically or architecturally significant in its own right, or can be representative of a particular type or style. What happens to properties from previous year’s lists? Until a historic resource is “saved”, it remains on Historic Augusta’s Endangered Properties List and we continue to monitor the status of the buildings on previous year’s lists and to advocate for their preservation and reuse. 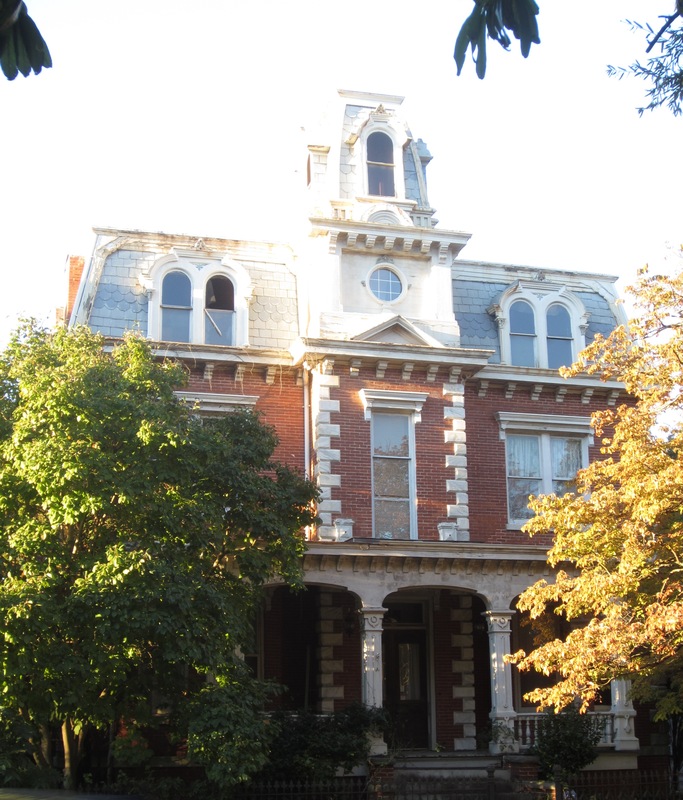 The Daniel House, c.1875, is an excellent example of the Second Empire style. Please complete the fields below to submit your nomination for the Endangered Properties List.